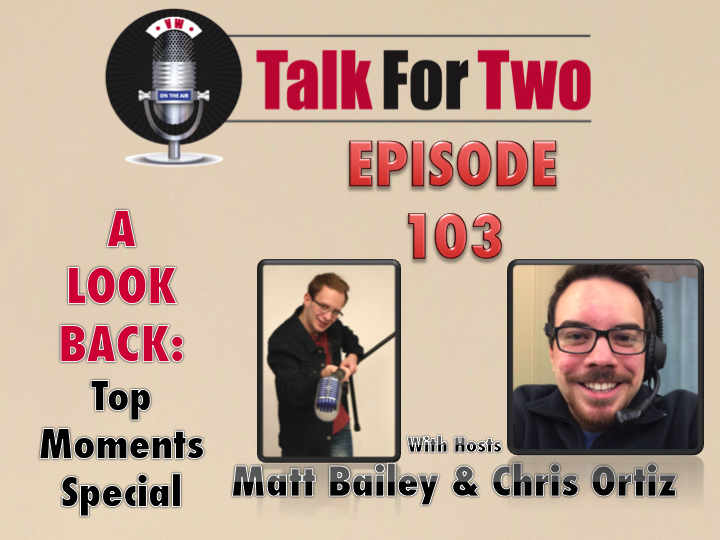 Matt Bailey and Chris Ortiz Co-Host a look back at some of theirfavorite moments from Talk For Two’s first hundred episodes. In addition, Matt and Chris share rare behind-the-scenes stories that give you a real peak into the world of Talk For Two. Dedicated in loving memory of John A. Hardman, whose Top Moments are too numerable to mention.